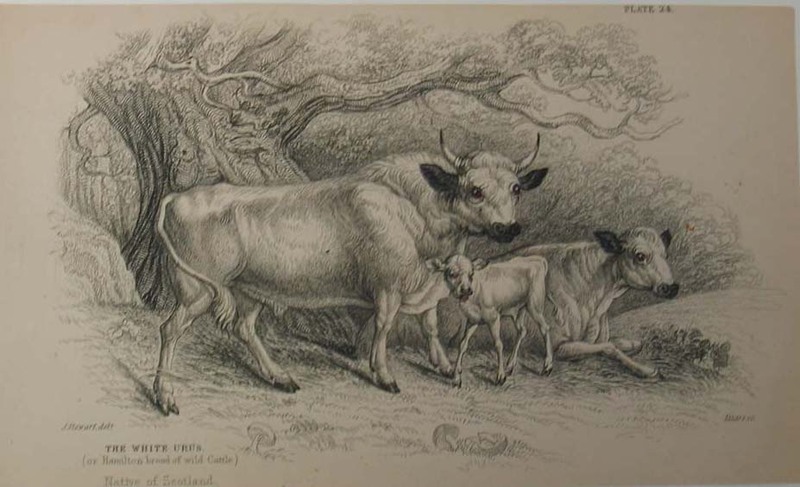 Over the past several years I have read many old articles and books from the 19th century that make reference to the "wild white cattle" of the British Isles. One persistent observation that I've seen time and again is in regard to their grazing habits. 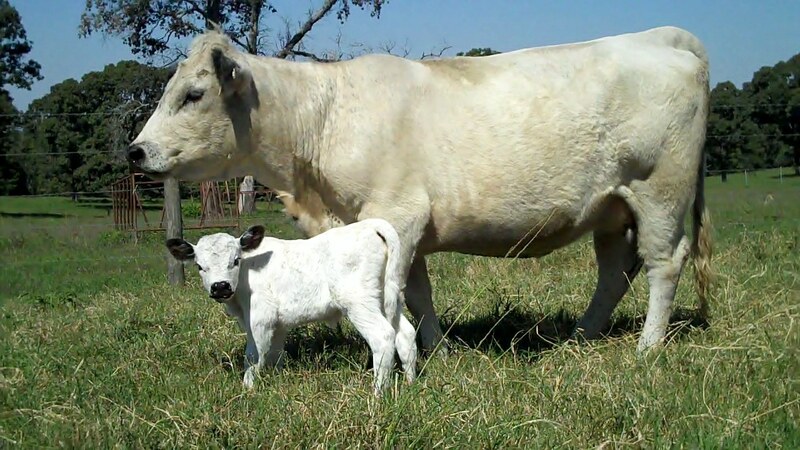 The description of the old grazing habits of the wild white cattle always gives me pause and I think of the similar behavior of my herd of quite domesticated British White cattle, descendants of the wild white cattle. 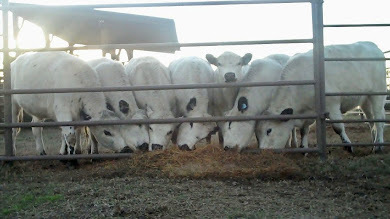 For a fact, my herd of British White Cattle will be found in the northernmost 'confines' of their pasture in the early morning hours of the summer season, as well as bed down for the night in the most comfy spot in that area. So regularly do they do this, that at one point i﻿﻿﻿n early summer we thought surely there must be a 'ghost' cow haunting the shoulder of the highway headed north. 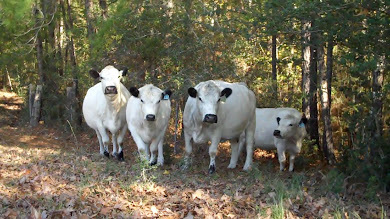 Another motorist had stopped and was calmly directing traffic around himself and the heifer (and the dead skunk) when we got there, and when faced with lots of humans quietly insisting she go back home -- she quite agreeably hopped back through the fence and joined the herd, and of course the herd moseyed on up the hill in a southerly direction as they always do. 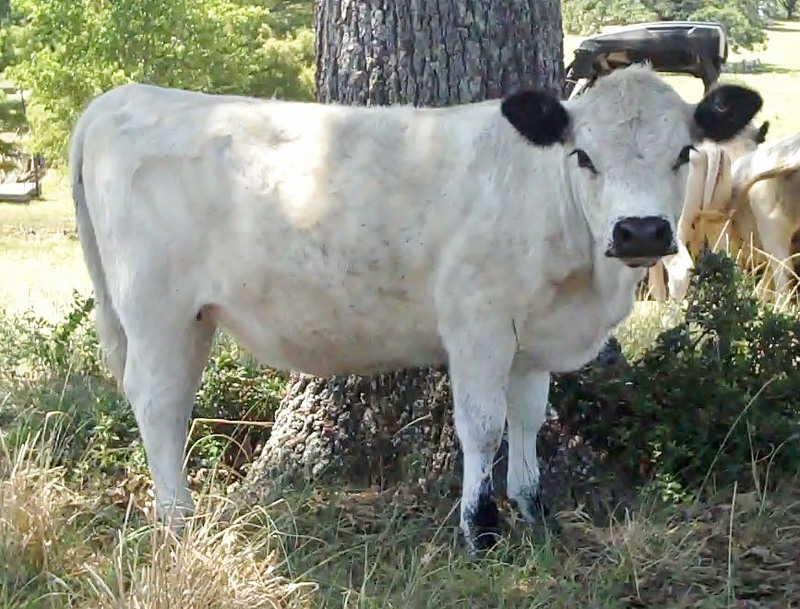 ﻿﻿Once my cows discover something new that they find rather exciting -- they will do it again and again. 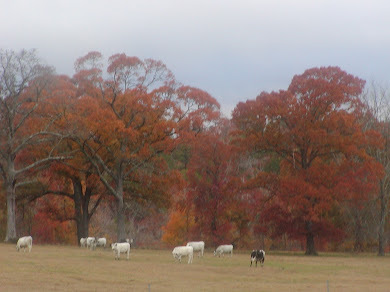 So that morning I moved the cow/calf herd out of that pasture to one of the interior pastures, and had no more morning phone calls of 'ghost' cow sightings. We did add more fence stays to that section of fence, and shored up some unstable posts that had enough play in them that one of my precocious British White youngsters would do just that - 'play' with the play in the post, slipping through the barbed wire and escaping to the other side. 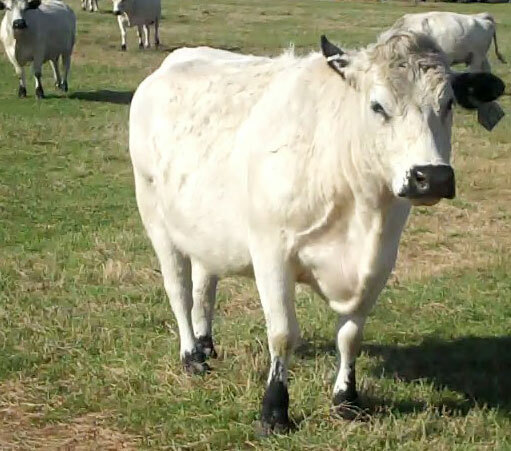 Besides the regular grazing movement of my whole herd at different times of day each season, my British White cow herd generally grazes as a group. Now I would have never thought that was an unusual trait of cattle, but one can only assume it was considered unusual in the 19th and early 20th century based on the various old texts such as the excerpt cited above. Apparently, this constant togetherness of a herd of cattle was not typical of domesticated cattle. Is it now? 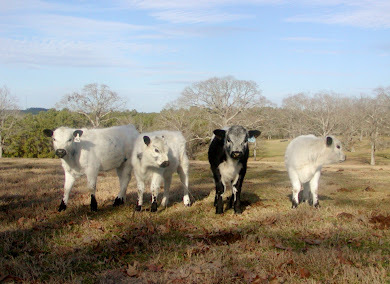 Maybe you can tell me what's typical of your cow herd. 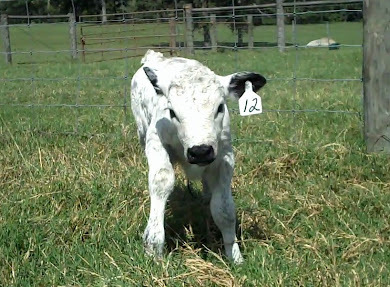 Does your cow herd have definite grazing patterns each season? Do they generally stay together, or do they scatter to the four winds over the course of the day? 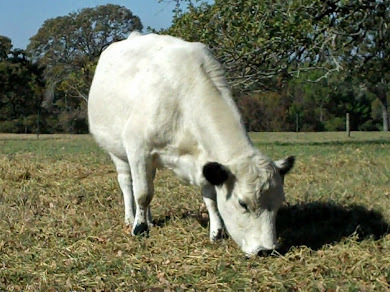 Could this old observation of the 'wild white cattle' grazing habits as unique just be yet another myth repeated for over a hundred years that has become accepted as historical fact ?